« Christian Business Owners: Master Your Business Financials! A true unique Worship Service focusing on Prayer for the lost souls of the Miami valley, unity in the Body of Christ and the safety of our community and country. 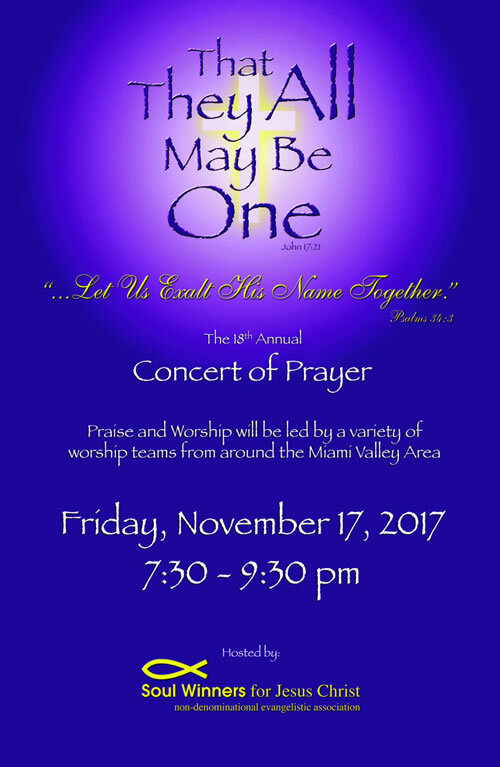 The Concert of Prayer is an evening of Worship unto the Lord, giving individuals from across the Miami Valley the opportunity to Pray as one body. The Concert of Prayer focuses on the Lost, the Church, and our Community.